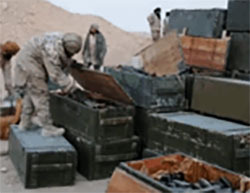 ISIS operatives examining crates of ammunition in the Russian base in Palmyra. The Syrian forces, with Russian air support, are gradually completing the takeover of east Aleppo from the rebel organizations. The rebel forces collapsed, even though they are still holding on to a small territory in the middle of the city. There have been media reports of mass executions, massacres, and looting perpetrated by the Syrian forces and collaborating Shiite militias against unarmed civilians. In the meantime, negotiations are underway for a ceasefire agreement, under which rebels and/or residents will be evacuated from east Aleppo starting on the morning of December 14. The implementation of the agreement has been postponed due to differences of opinion between the relevant parties. The expected fall of Aleppo in the hands of the Assad regime after four years of fighting represents a substantial achievement for the Syrian regime and is expected to weaken the rebel organizations that have defended Aleppo, especially the Fateh al-Sham Front (the former Al-Nusra Front), which represented a major component of the rebel coalition in Aleppo.The achievement in Aleppo will also strengthen the position of Russia, Iran, and Hezbollah, the allies of the Syrian regime, and weaken the position of the United States and the rebel organizations under its sponsorship (Qassem Soleimani has already been quick to make his presence felt in the fighting zones in Aleppo). While the Syrian Army is completing its takeover of east Aleppo, ISIS carried out a surprise attack on the city of Palmyra and its environs. A large ISIS force (thousands of operatives and armored vehicles) which had been assembled in east Syria attacked the city of Palmyra, took over the city and subsequently occupied a large area west of the city (until the T-4 airfield and the city of Qaryatayn). The surprise attack on Palmyra was an unusualmilitary initiative on the part of ISIS, which has had a series of setbacks during the past two years and was forced to resort to strategic defensive in Syria and Iraq. ISIS's move indicates its self-confidencein spite of the pressure exerted on it, and its ability to mobilize a large army for an offensive move while achieving an intelligence surprise. In ISIS’s perspective, this move has been intended to retake the important region of Palmyra, with its military and economic assets, somewhat divert the attention from Aleppo and Mosul, and convey a message to ISIS's supporters and opponents that it is still retaining its military capabilities (ISIS's propaganda machine has opened a propaganda campaign to capitalize on the Palmyra achievement). On the other hand, it has been made evident that the forces available to the Syrian Army and Syria’s allies are not sufficient for both offensive and defensive needs at the same time in the various battle zones in Syria, and that the offensive effort in Aleppo took its toll on the Syrian Army in Palmyra. The Syrian forces, with Russian air support, are gradually completing the takeover of east Aleppo from the rebel organizations. The organized resistance of the rebel forces apparently collapsed, even though they are still holding on to a small territory in the middle of the city. There have been media reports of a ceasefire, under which civilians, and according to another version also rebel operatives, will be evacuated from Aleppo. The rebel operatives are to be evacuated to Idlib, whereas the refugees will be transferred to the vicinity of the Turkish border. In the meantime, there is an increasing number of reports of massacres and looting of civilians residing in the neighborhoods taken over by the Syrian Army. This week, the Syrian forces continued their advance in southeast and central Aleppo, broke through the rebels' defense lines and took over most of the neighborhoods of east Aleppo. Among other things, the Syrian Army took over Old Aleppo and the area of the Aleppo Citadel. The Russian Defense Ministry reported on December 12, 2016, that the Syrian forces were in control of 95% of the city's territory (Sky News, December 12, 2016). In central Aleppo there is still a small territory left in control of the rebels, which is surrounded by the Syrian forces. However, the Syrian regime has still not announced publicly and officially the end of the campaign. Such an announcement may be released in the coming days (Al-Nashra; Sky News, December 13, 2016). 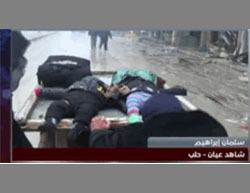 Following the Syrian forces' takeover of most of the neighborhoods in east Aleppo, there was an increasing number of reports by human right organizations, UN officials and local residents about executions of unarmed civilians, including women and children (there are still about 100,000 civilians trapped in east Aleppo). Armed gangs reportedly circulate in the occupied neighborhoods, killing and looting. 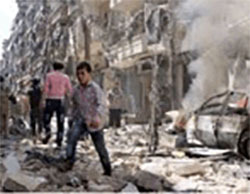 Vast areas in the eastern part of the city and its civilian infrastructure (including hospitals) sustained a lot of damage, making it very difficult to restore life to normal and rebuild the city. The Syrian Army has managed to secure the road leading from Aleppo to the international airport southeast of the city (Syrian TV, December 11, 2016). 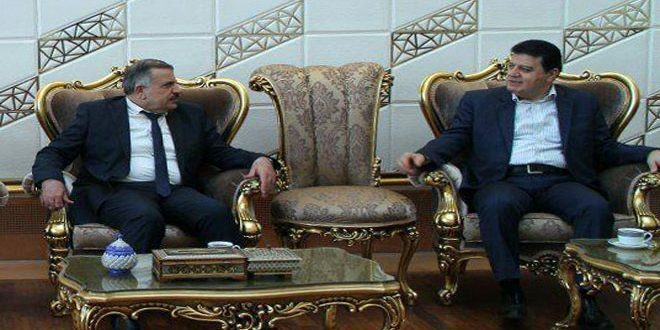 Bassam Mansur, the manager of the Aleppo international airport, informed that all the technical preparations to operate the airport in the period ahead had been completed. The Syrian forces that have taken control of the airport area can now secure the aircraft movement in the airport (Dimashq Al-Aan, December 8, 2016). According to Syrian media reports, a ceasefire agreement has been reached. According to the agreement, civilians will be evacuated from Aleppo. Syrian sources informed the Syrian website Al-Durar al-Shamiya that the objective of the agreement is to evacuate 70,000 civilians besieged in Aleppo. The civilians are expected to leave starting on the morning of December 14, 2016, toward Aleppo’s western rural area, with Turkish assistance (Al-Durar al-Shamiya, December 13, 2016). According to a Russian version, it is the armed operatives who will be evacuated rather than the civilians (see below). However, the Syrian government denied the reports of a ceasefire in Aleppo (Al-Ahed, December 13, 2016). Russia’s ambassador to the UN Vitaly Churkinsaid in a UN Security Council meeting that an agreement had been signed to allow the armed operatives to leave Aleppo within hours. According to Vitaly Churkin, when the armed operatives leave the city, Aleppo will be in control of the Assad regime, so leaving of the residents will not be necessary (RT, December 13, 2016). Churkin said the armed operatives would be able to leave Aleppo with their families to any place they chose, including Idlib (Sputnik, December 13, 2016). Churkin added that fighting in Syria had stopped and that the Syrian government had achieved full control in the east of the city after the agreement on the withdrawal of the armed operatives (RT, December 13, 2016). In the ITIC's assessment, the various versions on the nature of the agreement reflect different—sometimes even opposed—interests of the various players involved in the campaign on Aleppo and the implementation of the agreement. Therefore, we should wait and see if and how the agreement is going to be implemented on the ground. Nevertheless, the evacuation of east Aleppo has been postponed, and in the meantime, Russian airstrikes resumed. The Russian coordination center in Hmeymim reported that 4,000 ISIS operatives had regrouped and, with the assistance of tanks brought from Al-Raqqah and Deir al-Zor, opened an attack to retake the city of Palmyra (RT, December 11, 2016). Russian media reported (December 11, 2016) that ISIS had taken over the outskirts of the city and the citadel in the city (the Fakhr al-Din al-Maani Citadel). 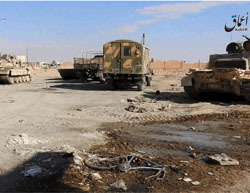 Subsequently, ISIS apparently managed to take over the entire city, and the Syrian Army which had been there retreatedtoward the village of Tiyas, about 55 km west of Palmyra, and to the T-4 airfield in its vicinity. Russian and Syrian aircraft provided air support to the retreating Syrian forces. After their takeover of Palmyra, ISIS forces continued their advance to the west. They occupied the Jihar and Al-Mahr gas fields, arrived at the area of the T-4 airfield and the village of Tiyas, and occupied the Al-Qaryatayn junction (see map). In the airfield area, ISIS operatives took over dominating sites, and they are now besieging the airfield and fighting against the Syrian forces deployed there. 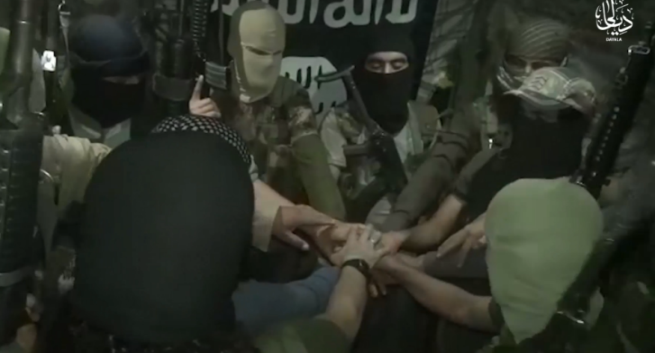 ISIS reported that it had destroyed three fighter planes that were in the airfield. According to another report, ISIS took over an air defense battalion south of T-4 (Orient News, December 13, 2016). ISIS celebrated in Al-Raqqah the retake of Palmyra (Aamaq, December 12, 2016). As usual, it was quick to seize the opportunity and make the utmost of its victory for propaganda purposes. 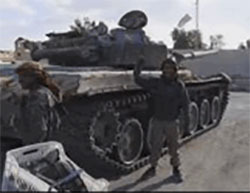 Its media outlets disseminated videos and photos documenting the fighting, ISIS's control of the city, the large quantity of weapons and equipment seized from the Syrian Army, and the takeover of the gas fields by ISIS. 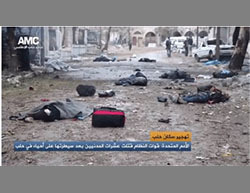 On December 12, 2016, ISIS released figures on the losses of the Syrian Army in the campaign for Palmyra: A total of 352 Syrian Army soldiers were killed, and 22 others were taken prisoner. A lot of weapons were captured: 44 tanks, seven APCs, seven 130 mm guns, fourteen 23 mm guns mounted on ATVs, automatic weapons, military vehicles and ammunition. On December 13, 2016, ISIS released a video allegedly showing a Russian Army base in Palmyra taken over by ISIS. 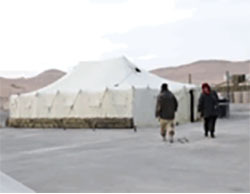 The video shows the base compound, tents, mess hall, soldier quarters and captured weapons (many Kalashnikov rifles, 23 mm twin anti-aircraft guns, and many crates of ammunition) (Haqq; Aamaq, December 13, 2016). According to an American report from December 8, 2016, a total of 168 oil tankers were destroyed near Palmyra in what was described as the most extensive airstrike carried out so far by the US-led coalition. According to an American spokesman, the airstrike was intended to prevent ISIS from receiving cash profits and hit its economy. The spokesman estimated the damage caused to ISIS by the airstrike at USD 2 million (inherentresolve.mil, December 8, 2016). The Free Syrian Army, with Turkish Army support, continues to cleanse the area of the city of Al-Bab and prepares for taking over the city. The Free Syrian Army reportedly managed to break through ISIS’s first defense lines in the northern part of Al-Bab (Halab al-Youm, December 9, 2016). On December 9, 2016, it was reported that the Free Syrian Army, with Turkish Army support, took over the highway connecting Al-Bab to Al-Manbij (Aamaq, December 9, 2016). The Turkish Army reportedly sent 300 Special Force soldiers as a reinforcement for Operation Euphrates Shield, in advance of the takeover of Al-Bab. Turkish planes which carried out airstrikes reported hitting dozens of ISIS targets in the area of Al-Bab (Reuters; Khatwa, December 10, 2016). Turkish planes also scattered leaflets calling on the Al-Bab residents to flee the city to safe places (Al-Nashra, December 12, 2016). The Syrian Democratic Forces (SDF), with US and coalition air support, announced the beginning of the second phase of the campaign to liberate Al-Raqqah from ISIS (Operation Euphrates Wrath). During the week, clashes continued in the rural area north and west of Al-Raqqah, in which the SDF forces took over a number of villages. However, it seems that for the time being, the advance toward Al-Raqqah is carried out slowly since the scope of the forces attacking Al-Raqqah is too small. US Defense Secretary Ashton Cartersaid in a conference in Manama, Bahrain, that additional 200 American soldiers would be sent to the front in Al-Raqqah to support the fighters (i.e., SDF fighters) in their fight against ISIS. The soldiers will also include Special Forces that will join 300 soldiers who have been qualified for that earlier. The American soldiers will mainly be engaged in organizing, training, and consultancy for the rebel forces (i.e., SDF) in their fight against ISIS (AP, December 10, 2016). After a slow advance during the recent weeks, the Iraqi forces reported several successes in Mosul’s southeast neighborhoods. On December 10, 2016, the Iraqi counterterrorism apparatus reported that it had liberated from ISIS the neighborhoods of Al-Qadisiyah, Al-Qadisiyah al-Ula, and Al-Murur (Al-Sumaria, December 10, 2016). On December 11, 2016, it was reported that fighting took place in the heart the Al-Falahat neighborhood (Facebook page of the Nineveh Information Center, December 11, 2016). According to the Iraqi security forces, they were controlling about 55% of the eastern neighborhoods of the city. In spite of these reports, it seems that for the time being, the Iraqi forces’ advance in east Mosul had been stopped due to ISIS operatives’ fierce resistance. ISIS’s resistance finds its expression not only in the fighting at the front lines but also in attacks carried out in neighborhoods which have already been liberated from ISIS. ISIS continues to extensively employ suicide bombers and car bombs, which caused the Iraqi Army dozens of fatalities this week. According to the Iraqi Army, ISIS booby-trapped pavements, fences and civilian houses (Facebook page of the Nineveh Information Center, December 10-11, 2016). A senior official in the Iraqi Army counterterrorism unit reported on December 12, 2016, that his forces had frozen the military operations carried out in the east of the city, in order to cleanse the retaken neighborhoods from the presence of ISIS operatives (Anatolia News Agency, December 12, 2016). 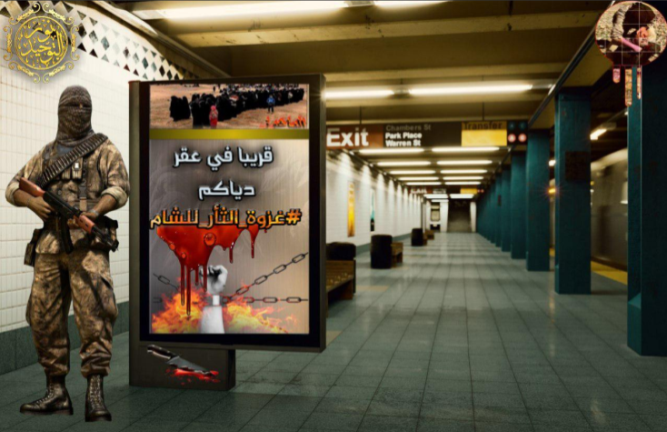 ISIS continues to release photos of Mosul intended to strengthen the propaganda message that daily life goes on as usual in the city. On December 1, 2016, another video was released showing a crowded open market on Friday (Aamaq, December 11, 2016). The ITIC does not know where and when the video was filmed. ISIS’s propaganda contradicts the UN reports, according to which the humanitarian situation in the city has deteriorated. About 82,000 refugees reportedly left the city so far, in addition to hundreds of thousands who fled the city outskirts (Al-Jazeera, December 8, 2016). It was also reported on famine prevailing in the city (Al-Arab, December 12, 2016). Residents remaining in the city are treated harshly by ISIS operatives. Thus, for instance, ISIS operatives reportedly executed residents who refused to let their houses be used for the fighting (Nineveh Information Center, December 10, 2016). On December 7, 2016, four IEDs exploded in four vehicles in various neighborhoods of east Baghdad. 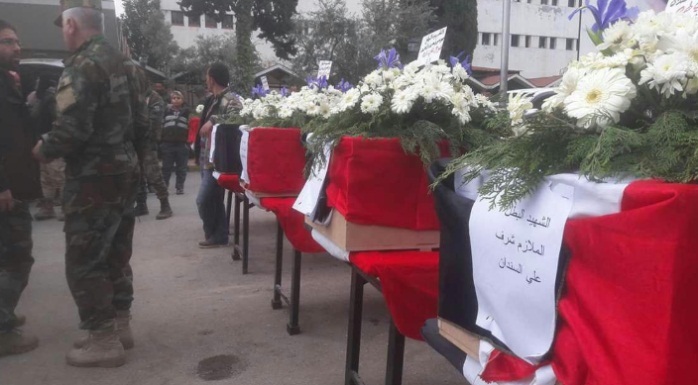 Four people were killed and 22 others were wounded (Sada al-Balad, December 7, 2016; Al-Hurra, December 7, 2016). On December 11, 2016, a man was killed and five others were wounded in the explosion of an IED on a main road of east Baghdad. Another man was killed and eight others were wounded in the explosion of two IEDs in an open market in the south of the city (kurdistan24.net, December 11, 2016). 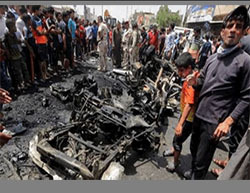 Two car bombs exploded in the city of Fallujah. A total of 13 people were killed and an unknown number of others were wounded. The first car exploded near an Iraqi police checkpoint and the other near a crowded café (Al-Hurra, December 11, 2016; Al-Alam, December 11, 2016). ISIS claimed responsibility for the attack. On December 12, 2016, an explosion occurred in a Coptic cathedral in Cairo’s neighborhood of Al-Abbasiyah. At least 25 people were killed, and 38 others were wounded. 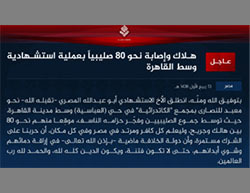 Egyptian security sources informed the Al-Hayat daily that ISIS’s branch in Sinai was behind the terrorist attack. The suicide bomber was probably Mahmud Shafiq Mohammad Mostafa, aka Abu Dajanah al-Kanani, who had joined ISIS's Sinai Province about two years ago and took part in a number of terrorist attacks. Four suspects were detained following the attack (Al-Hayat, December 12, 2016). Head of the Presidential Council of the Libyan Government of National Accord Faiz Al-Saraj met on December 7, 2016, with commanders and officers in the operations room of the Operation for the takeover of Sirte. Following the meeting, an announcement was issued about the end of battles in Sirte and the beginning of a program to restore security in the city. The program includes neutralizing mines, searching for ISIS operatives who are still hiding in the city neighborhoods, and preparing Sirte for the return of its residents. It has been agreed that on completion of these activities, the liberation of Sirte will be officially announced (Facebook page of the information bureau of Al-Saraj, December 7, 2016). The information center of the operation for Sirte reported that since the end of the battles in the Marine neighborhood, ISIS’s last stronghold in Sirte, close to 500 bodies of ISIS operatives were removed from the site. On December 8, 2016, three ISIS operatives who had been hiding were found. 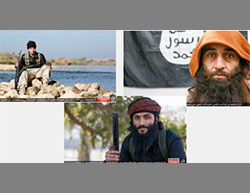 Two of them were captured, while the third blew himself up without causing any casualties (Facebook page of the operation for Sirte, December 8, 2016). According to Western sources, about 6,000 ISIS operatives had been staying in Sirte (The Guardian, June 9, 2016). According to the Libyan Government of National Accord, over 2,500 ISIS operatives had been killed in the operation (Al-Hayat, December 10, 2016). 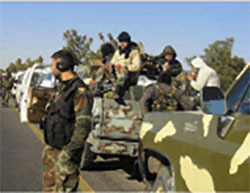 It can be estimated that many hundreds of operatives, maybe even several thousands, had managed to flee the city, most of them to the desert areas in south Libya, outside governmental and security control. Senior Libyan officials and researchers dealing with the Libyan issue express their fears that even after ISIS had lost Sirte, it will try to reorganize its ranks and return to fight especially in the areas south of Sirte. According to various estimates, hundreds of ISIS operatives escaped to this area even before the outbreak of the battles in Sirte, during the first stages of the campaign for the takeover of the city. 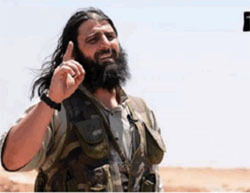 According to various reports, in September 2016, Jalal al-Din the Tunisian was appointed ISIS’s new emir in Libya (instead of the previous emir, who was killed in battle in Sirte). According to a researcher who is an expert on Libya, this is one of the leaders who will prepare the next wave of ISIS attacks from the south of Sirte (Reuters, December 90, 2016). Mohammed bin Salem al-Ayouni, aka Jalal al-Din the Tunisian, was born in 1982 in east Tunisia. From Tunisia, he moved to France, where he obtained French citizenship. 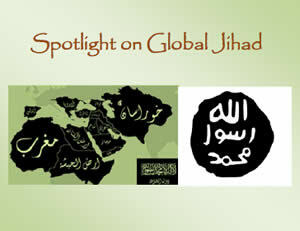 During the years 2011-12, he made contact with a group of jihadists operating on the Tunisian-Libyan border and persuaded them to pledge allegiance to ISIS’s leader. During 2013-14, he traveled to Syria and Iraq, where he joined ISIS. 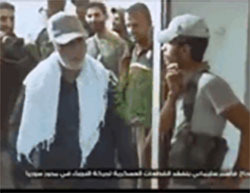 He appeared in the media (2014) in a film about “removing the borders” between Iraq and Syria. On September 27, 2016, ISIS’s leader appointed him the new emir of Libya, replacing Abu Habib al-Jazrawi, who had been killed in battle in Sirte. Based on intelligence they received, Rotterdam police officers detained a man of about 30 suspected of planning an ISIS-inspired terrorist attack in the Netherlands. Upon searching the suspect’s apartment, they found a Kalashnikov rifle, two magazines, four crates of fireworks, a cell phone, a large amount of money and a big photo of the ISIS flag (Reuters, December 9, 2016).